According to the source of all knowledge, Wikipedia (queue lazy jouralism here), all sorts of artistic movements from the romantics to to the symbolists and the modernists have found something they warm to in Pierrot: "In short, Pierrot became an alter-ego of the artist, specifically of the famously alienated artist of the nineteenth and early twentieth centuries. 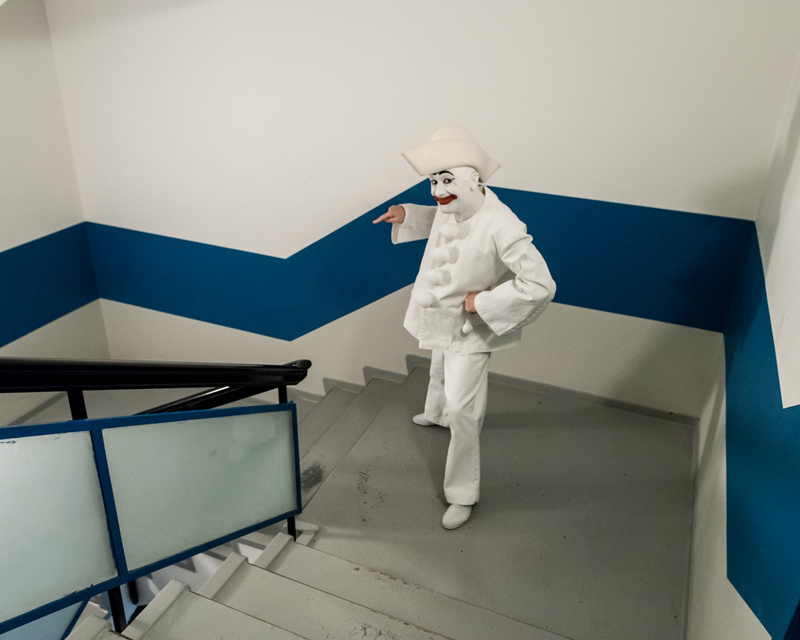 His physical insularity; his poignant lapses into mutism, the legacy of the great mime Deburau; his white face and costume, suggesting not only innocence but the pallor of the dead; his often frustrated pursuit of Columbine, coupled with his never-to-be vanquished unworldly naïveté—all conspired to lift him out of the circumscribed world of the Commedia dell'Arte and into the larger realm of myth. 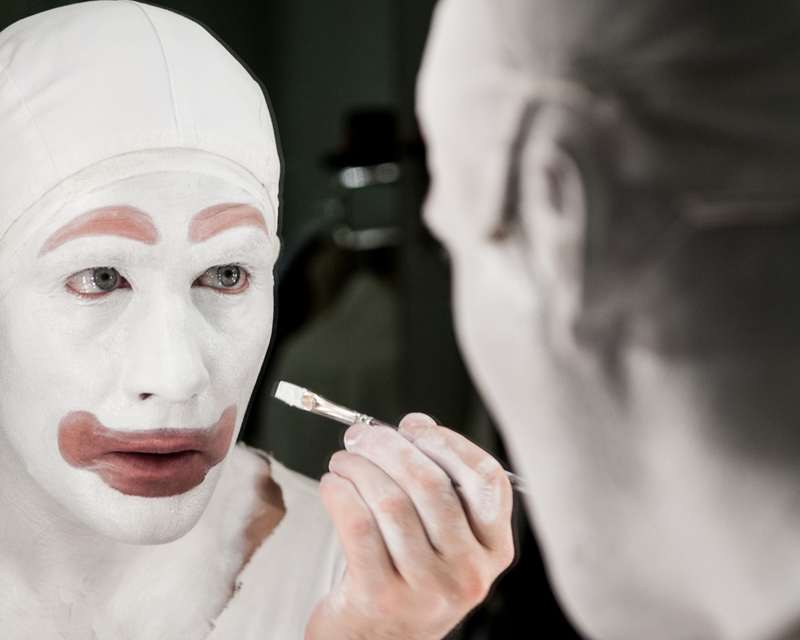 Much of that mythic quality still adheres to the "sad clown" of the postmodern era." 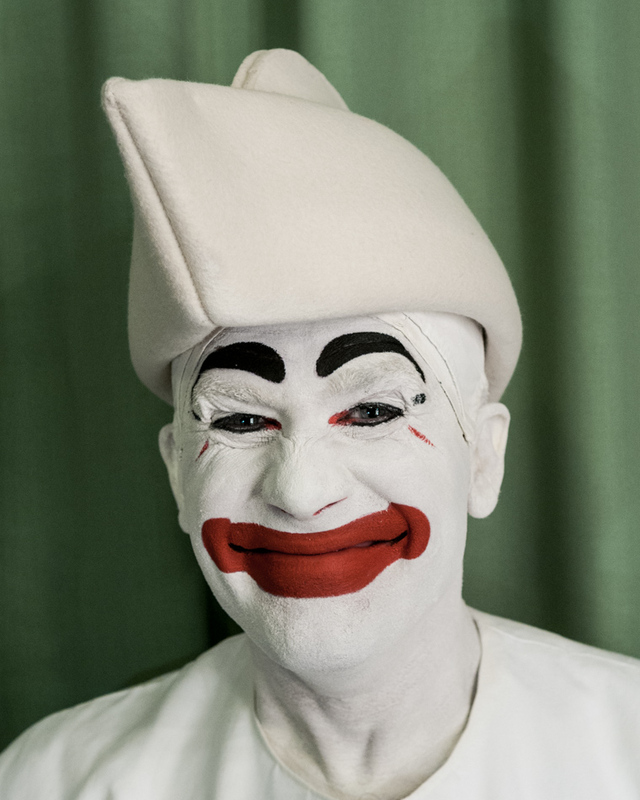 Pierrot came to Denmark with the Italians in the 18th Century to perform at Bakken, the oldest theme park in the world. He stayed, and is still one of the main attractions there today - and he also found a home at Tivoli in Copenhagen (the second oldest amusement park in the world). 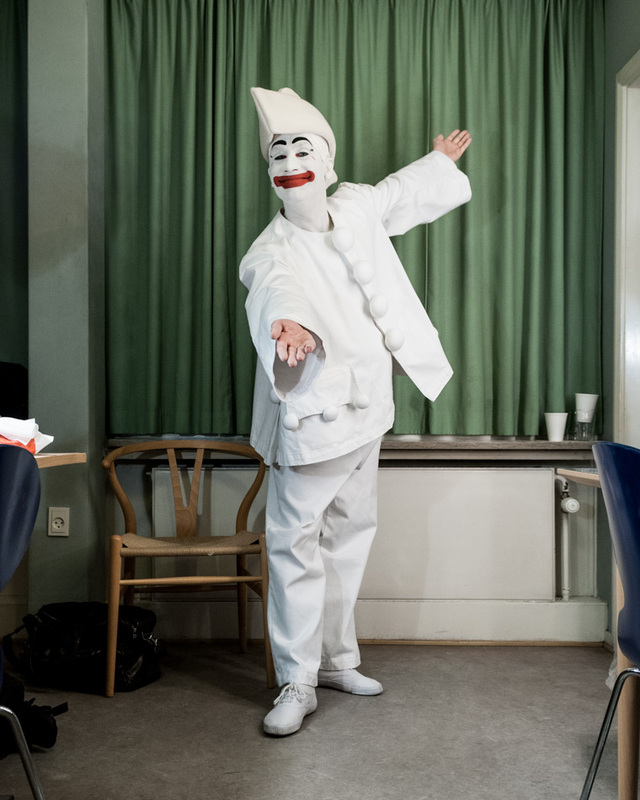 I photographed him getting ready to perform the traditional pantomime of the Nutcracker at Tivoli in December 2012. 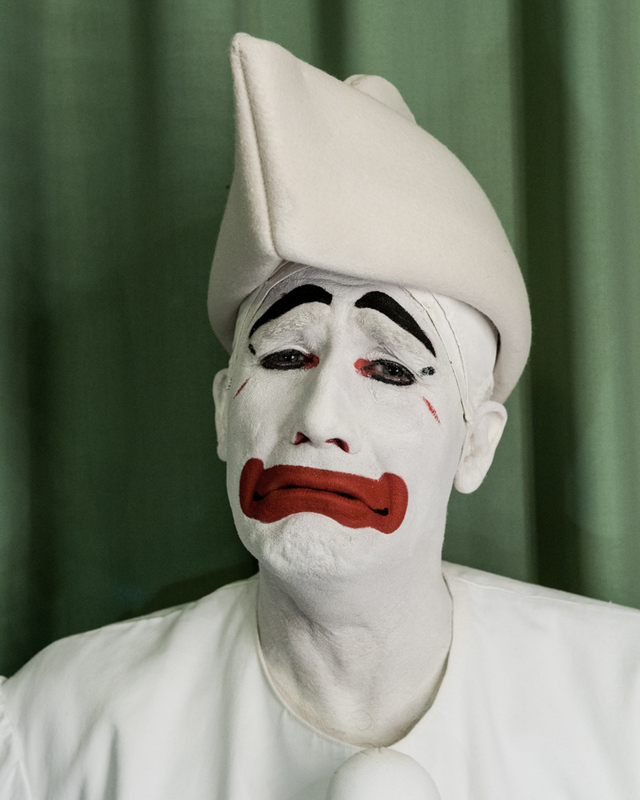 I don't want to spoil anyone's romantic image, but I should probably say at this point that the guy playing Pierrot was called Allan.